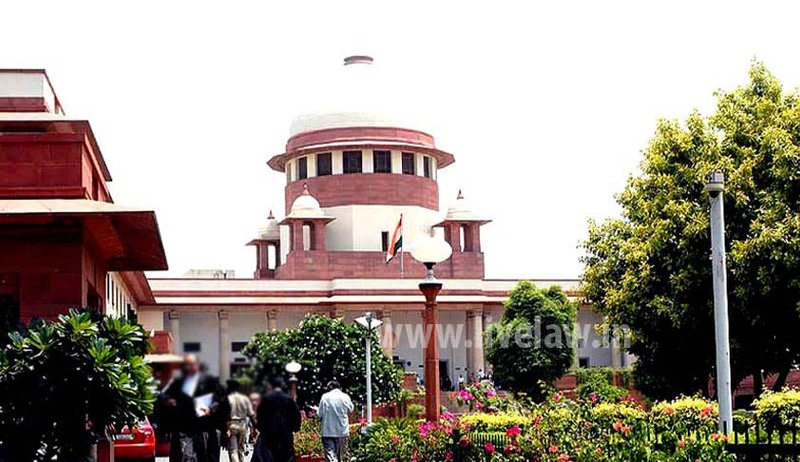 The Supreme Court in Chief Executive Officer, Krishna District Cooperative Central Bank Ltd. and Another vs. K. Hanumantha Rao and Another, has set aside an impugned judgment of a division bench of the Andhra Pradesh High Court holding that decision qua the nature and quantum is the prerogative of the disciplinary authority and it is not the function of the high court to decide the same. Hanumantha Rao was a supervisor of five Primary Agricultural Cooperative Societies (PACSs). He failed in discharging his duties properly of supervising the same, which led to cheating by members of the Nidamanuru PACS, resulting in misappropriation of the society funds, the amount totalling up to over Rs.47 crore, for which disciplinary action was initiated against him. In the said inquiry, charges were proved and as a result, the disciplinary authority (consisting of the general manager) inflicted the punishment of dismissal from service upon him. This was confirmed by the appellate authority (being the chairman, person in-charge committee of the Krishna Cooperative Central Bank Ltd) and also the single judge bench, that found no grounds to interfere with the punishment imposed by the disciplinary authority. The division bench of the high court in Hyderabad vide impugned judgment altered the said penalty of dismissal to that of stoppage of two increments for three years, giving by way of reason that there was no allegation of misappropriation by Rao and the accusation was lack of proper supervision, which held good against the top administration as well. The question that arose was whether it was permissible for the high court to do so in the facts of the present case. The bank had challenged the HC decision at the apex court. The SC bench of Justice AK Sikri and Justice Abhay Manohar Sapre found the impugned judgment of the division bench of the high court to be unsustainable. The bench asserted that it is only in exceptional circumstances, where it is found that the punishment/penalty awarded by the disciplinary authority/ employer is wholly disproportionate, that, too, to an extent that it shakes the conscience of the court, when the court steps in and interferes with the decisions of an appellate authority. The fact that Rao did not perform his duties with due diligence and his negligence in performing the duties as a Supervisor had led to serious frauds, the punishment awarded to him was not “shockingly disproportionate” so as to shake up the conscience of the court and compel it to interfere and alter the punishment. It was, therefore, for the disciplinary authority to consider as to whether Rao was fit to continue in the post of supervisor. The bench agreed that the matter could, at the best, have been remanded to the disciplinary authority for imposition of lesser punishment leaving it to such authority to consider as to which lesser penalty needs to be inflicted upon the delinquent employee. It was opined that the court must not usurp the discretion of the public authority and must always strive to apply an objective standard, which leaves to the deciding authority the full range of choice.